Many are surprised to learn that email marketing is still a popular method used today in online advertising. With the emphasis and hype about social media marketing, they don’t immediately realize that email marketing actually gains the largest amount of customer engagement. With such a proven track record, why aren’t more marketers using it? There are many email services providers (ESP) out there offering platforms that allow you to craft, manage and send your business emails. Such platforms offer a combination of hardware and software so you can manage contact lists, design attractive, eye-catching mailings, and see the results of your campaigns using provided analytics. Everything you need is available at your fingertips as opposed to trying to do it all using an email program alone. According to this source, “Almost three-quarters of American adults cite email as their preferred communication channel with companies and brands. According to the latest email benchmark report from Experian, the average open rate across all industries in the third quarter of 2016 was 25.7%, with a 2.7% click rate.” The following are some ways that your business can benefit from email marketing and some suggestions for improving upon the email marketing strategy that you have in place now so you can increase your click rate. What’s more appealing? A basic black and white email with a graphic or two as attachments? Or a stunning, graphical HTML newsletter with your branding that looks like a really great website page complete with a call to action? ESPs provide templates and drag-and-drop user interfaces to make the newsletter easy to design, allow you to save your template, and offer a way to include many different types of content. The best part? The email will look exactly as you designed it when it reaches your contacts which is something you can’t guarantee when sending newsletters with old email programs. According to this source, “The bigger your email list is, the greater potential reach your content will have. This realization tempts many newcomers to buy an initial email list far larger than what they’d be able to reach naturally. However, this is often a mistake. If those users didn’t sign up for your list and they start getting emails from you, they may interpret your messages as spam, reducing the value of your campaign and putting you at risk of being red flagged as a spammer.” ESPs give you a way to easily manage your contacts as you get them on your own. They provide easy-to-implement sign-up forms for your website or blog, easy unsubscribe options, along with allowing users to update their information at any time. They take care of all aspects of your contact list, so you don’t have to which is a huge time saver. There’s not a lot of information available to you about your email campaigns from your email account. That’s why it’s so great that most ESPs offer onboard analytics so you can measure the results of your campaigns. You can track retention rates, customer engagement and much more with that information, using it to strengthen your efforts. The insights provided will help you improve your email campaigns with each send. Standard email providers like Google and Yahoo monitor the use of their services and look for specific things. They look for content that may contain spam, and they also look for attempts to send such emails to a large number of contacts at once. If they decide or can prove either of these conditions are true, they can blacklist your email address and entire IP location as a spammer by Internet Services Providers (ISPs). If that should happen, it’s possible any email you send can be sent directly to your contacts’ spam boxes. ESPs monitor the final destination of all emails you send through them and have steps in place to help protect you from blacklisting. There are premium times, when people are most likely to open messages they’ve received, to send marketing emails as studies have shown. According to this source, “The reason why you want to know the best times to send email—or the best days—is that you ultimately want more opens and more clickthroughs to get more traffic to your blog.” That being said, while that time in the US in New York might be 6 PM in the evening, in Paris it will be midnight before it arrives which doesn’t help. However, when using ESPs, you can set up email campaigns to be sent at whatever times you wish so you can make those important send times no matter the time zone. 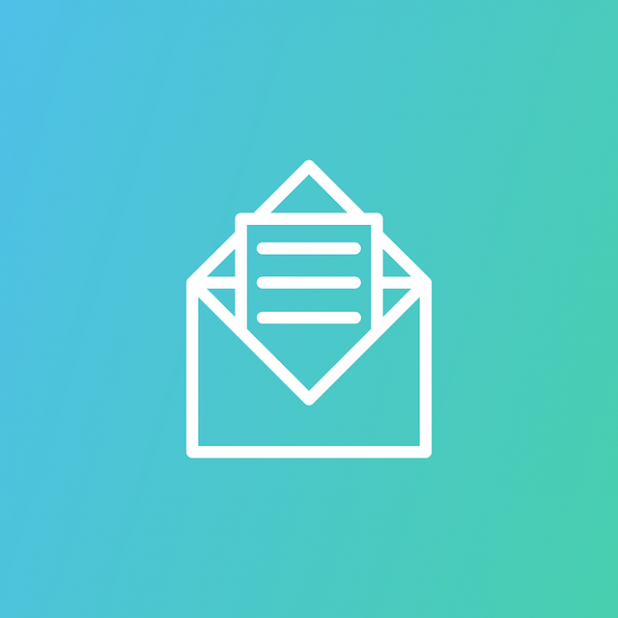 As your lists grow, with ESPs you can send your marketing emails to each of them. These services can easily be scaled to match your business’s growth with no worries about getting stuck at a given number. Automation and email marketing is a dream team. The convenience of being able to set up autoresponders to individual contacts for specific actions is of great convenience. You can arrange to send messages to new subscribers, schedule mailings ahead of time and much more. Email marketing has little details and rules with the CAN-SPAM Act that need to be strictly followed. According to this source, those rules for compliance are, “DON’T use false or misleading headers. The email’s “To” and “From” lines must accurately identify who sent the email. DON’T use deceptive subject lines. This could mislead readers about the content of the message. DO provide a return address that permits the recipient to request that no further emails are sent to their email address, and honor that request. You must be able to process opt-out requests up to 30 days after the original email and they must be acted upon within ten working days of receipt. DO ensure that your messages include a valid postal address.” Many ESPs have onboard CAN-SPAM compliance features to protect you from unwittingly running into any legal issues. Subscriptions and unsubscribes are handled for you so your mailings are only sent to those who have specifically asked for them. These services also provide smaller businesses with needed support included in the price. Another great advantage most ESPs offer is the ability to create and use segmented email lists. They can be sorted in a variety of ways that might prove useful to you in your marketing efforts. Using our pool cue example, if one of your cues sells more than the others, you could create a segmented list just for those who have purchased that cue to let them know of new accessories or of newer versions of their product that have just been released. Remember, the greater the specificity of your emails to the customers who are interested, the greater your click-through rate will be. Email marketing is a reliable way to reach out to potential customers, and it’s easier than ever to harness its power. Good email marketing services provide a myriad of benefits that can take your email marketing efforts to the next level. They give you the ability to create sharp, appealing newsletters, send them to email lists that they help you manage, keep you compliant, provide metrics, and help you grow your online audience and turn interested visitors into paying customers. Is E-Mail Marketing Better Than Social Media Marketing?